Junior Alan Beaney navigates past the opposition. 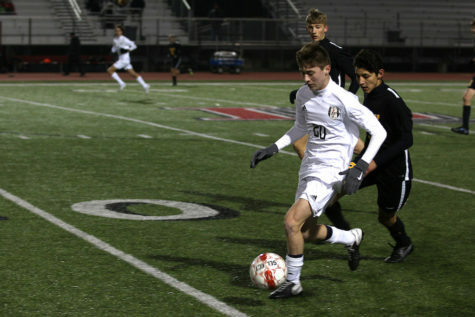 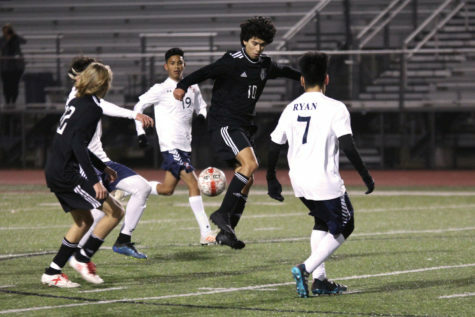 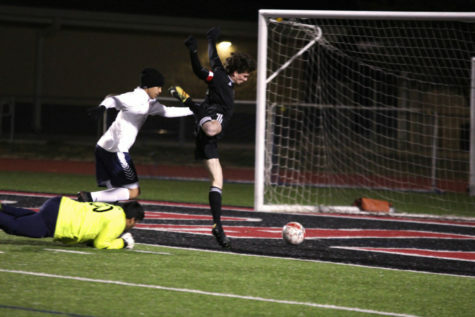 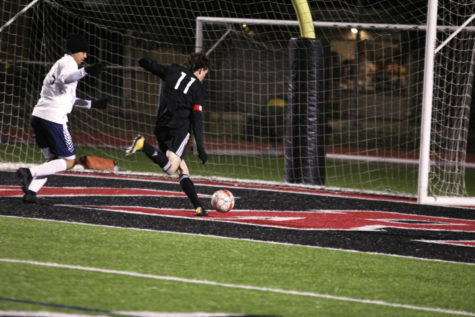 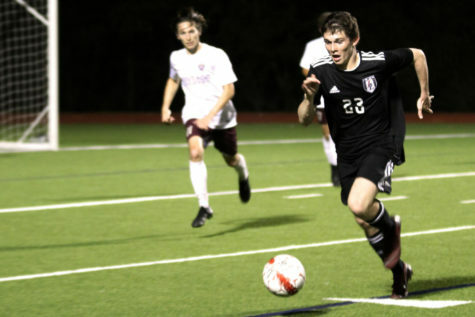 After defeating Royse City (5-15, 2-9) last week, the boys soccer team clinched the district title for the second year straight and will now turn its focus to the first round of playoffs against Sulphur Springs (11-12, 5-6). 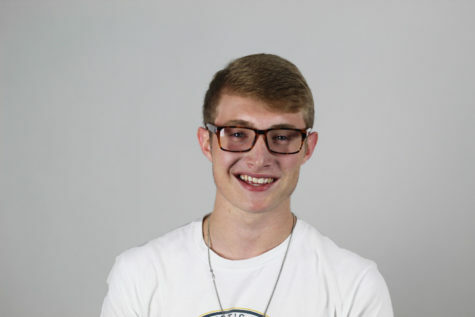 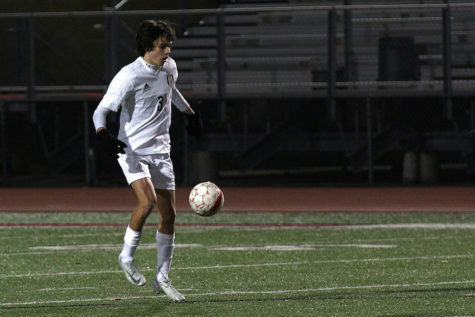 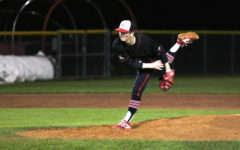 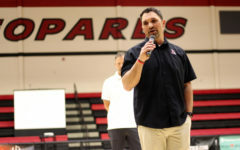 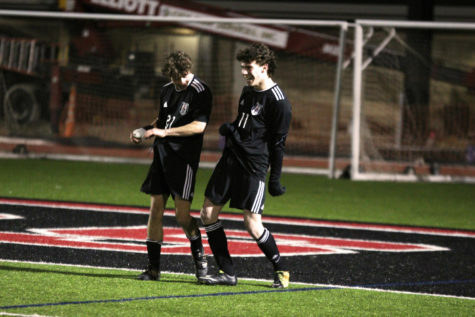 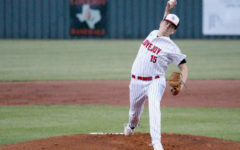 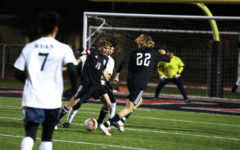 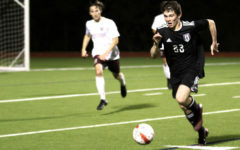 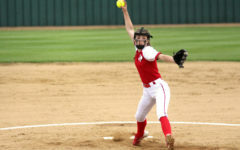 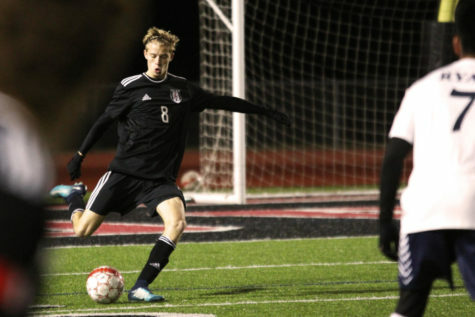 The game will be played Thursday at Wylie Stadium at 7 p.m.
“We wanted to finish our last game strong going into playoffs to get some confidence, and we also knew we had to win and have Wylie East lose to win district, so we played calm and comfortable and got the win,” junior Haydn Spooner said. 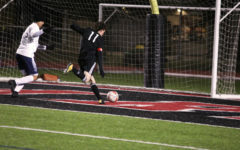 Sulphur Springs enters the playoffs as a four seed, while the Leopards earned the first seed by winning their district. 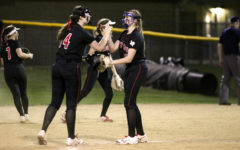 Sulphur Springs is 3-2 in its last five games after defeating district foe Hallsville 1-0 last week. If the Leopards win tomorrow night, they face the winner of the the two versus three seed game in their division of the UIL State bracket between Lone Star and Lake Dallas. 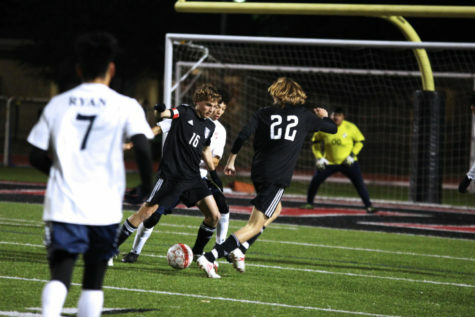 Last week in the win against Royse City, goals were scored by sophomore Tyler Loop, senior Gavin George, senior Grant Lange, and senior Kishan Vasal.